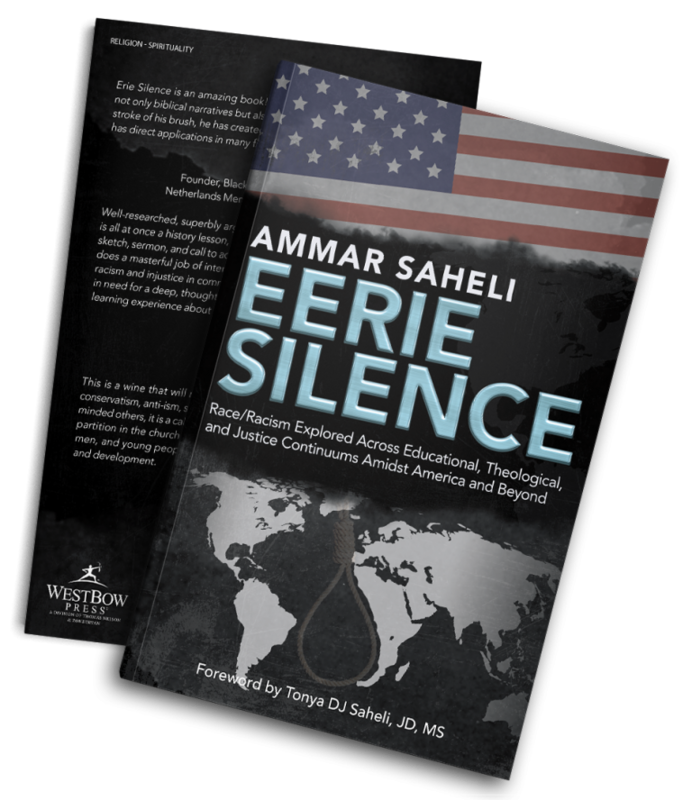 Eerie Silence is a revelatory and jolting exploration into the ramifications of justice inaction in America and beyond and how silence has destructively contributed to issues related to race, racism, education, theology, and racial identity development. The compiled scholarship and research contained within the Eerie Silence project is provoking, risky, confrontational, validating, challenging, feisty, and emotionally and intellectually vulnerable. It is a must read for every person seeking a better grasp of the historically interlocked elements of race, racism, religion, theology, authentic Christianity, and racial identity development, especially as it relates to America and its influence. Eerie Silence is a bold exploration into the essence of America and the current and historical silence it protects and maintains in the face of racial injustice and equity. Whether through the lens of religion, church trends and dynamics, education, the creation of race, racial identity attitudes, or various forms of injustice and prejudice in America and internationally, this project uncovers the silence and strategically screams a prophetic truth toward confession and healing. Despite the painful reality of Eerie Silence, its ultimate goal is honest dialogue and liberation.